This entry was posted by Anne Reith on August 15, 2016 . In the Pacific Time Zone, the Moon will be full at 2:26 a.m. on Thursday, August 18. With this Full Moon, the Sun in Leo will be in opposition (180°) to the Moon in Aquarius. To further clarify how this Full Moon will impact you on a personal level, locate 26° of Leo and 26° of Aquarius in your birth/natal chart. The issues associated with those two houses are going to be most impacted by this Full Moon’s presence. NOTE: This Full Moon actually sees a difference of opinion between the fields of astrology and astronomy. According to astrological data, this Full Moon is a weak eclipse, which usually intensifies the effects of the Full Moon. However, according to NASA, the eclipse is considered a “near miss.” Whichever side of the argument you stand on, this Full Moon and the days following it do carry a punch that will be hard to ignore. As with any Full Moon, our focus is on correcting any imbalances. Luckily, there is quite a bit of Virgo energy floating around during the next few weeks (see later discussion), which should help us differentiate between what is and isn’t truly important to us. Additionally, having the Moon in Aquarius gives us a dose of emotional detachment as we explore these questions. However, that Aquarian Moon may also make us feel ready to rebel against something, especially if it feels like it is stifling our personal expression (Leo). Luckily, any rebellious tendencies will be provided with some support from Uranus, which will trine (120°) the Sun and sextile (60°) the Moon. Uranus is often associated with change, independence, and freedom, but trines and sextiles provide positive, supportive energy. Therefore, any felt need to liberate ourselves from something that is holding us back or blocking our progress will be easier to handle emotionally (Moon) and more readily integrated into our lives (Sun). We could be more willing to take creative risks at this time or feel drawn to pursue something that involves working with like-minded others toward a common goal that serves others in some way. This Full Moon in Aquarius is being strongly influenced by the fact that Saturn turned direct several days earlier (Friday, August 12). As we discussed in the last Moon Update, this change in direction for Saturn will take a few days to get up to speed, so it will be much more powerful by the time we reach the Full Moon. While in retrograde, Saturn asked us to look inward to clarify our personal truth and determine what issues in our lives were hampering us from expressing this on the Earth plane. If we have done this work over the last five months (while Saturn was in retrograde), we should have a much clearer picture of our personal truth, on a deep, spiritual level. As Saturn picks up forward momentum, many of us will begin looking for ways to express this new-found core belief system externally in the world. And given the heart-centered focus during the Full Moon, this will best be done through expressions of love and radiating our personal essence out into the world. Mercury makes its first of three oppositions (180°) to Chiron on Friday, August 19, and its first of three conjunctions (0°) with Jupiter on Monday, August 22. With the former opposition to Chiron, Mercury brings mental energy to our efforts to heal ourselves, and it could mean that we need to shift our thoughts before healing can occur. Or we may be introduced to new ideas that lead to healing. With the later conjunction, Mercury and Jupiter will work together to help us find ways to be both practical and visionary. You may feel more philosophical than usual. Just be careful not to over-think things or talk too much, which can be common downfalls of a Mercury-Jupiter conjunction. Given both planets are in Virgo, it’s a good day to make long-term plans because we can see both the details and the big picture. Monday, August 22, also sees the Sun moving out of Leo and into analytical Virgo. During the next month, we will more easily weed out anything that is no longer serving our highest good. Our focus will be on details and our minds will be more astute. Although we do need to be careful about becoming overly critical, this is usually a great month for problem solving and efficiency. This is particularly true because not only is the Sun in the mutable sign of Virgo, but so are Mercury, Venus, and Jupiter. Additionally, several other planets are in other mutable signs (i.e., Mars & Saturn in Sagittarius, Neptune & Chiron in Pisces). All this mutable energy means that it will be important to remain as adaptable and flexible as possible during the latter part of the month. People could be saying one thing and then changing their minds. This will require patience and tolerance on our parts. August 24-25 (Wednesday-Thursday) will see Mars conjunct (0°) Saturn and square (90°) Neptune, which will activate the on-going square (90°) between Saturn and Neptune. Although the final of three exact squares isn’t until Saturday, September 10, most of us will be feeling its effect for the next month. The Saturn-Neptune squares have been “putting our dreams to the test.” It has forced many of us to look carefully at what has been blocking us from moving toward our dreams. With Mars now involved, we may find ourselves ready to take responsible (Saturn) actions (Mars) toward those dreams (Neptune). Saturn provides patience, resourcefulness, and discipline that will serve us well. However, this aspect can also cause us to feel frustrated, prompting some of us to want to escape (Neptune). We need to do our best to avoid this tendency because it would be a lost opportunity. We are each being called into service for the higher good, and we can’t be bogged down with additions, ignore financial problems, or lead lives that are so complicated that we don’t have time to meditate, breathe, and connect with Spirit. Rather than escape, it would be best to use physical outlets, like exercise or cleaning out a closet, to cope with any irritations. Then we get a weekend that is a gift! On Saturday, August 27, Venus will conjoin (0°) Jupiter. We may suddenly feel like getting out of the house and doing something social. This is also a good day to look at our finances. Overall, we will be feeling generous, outgoing, and friendly. 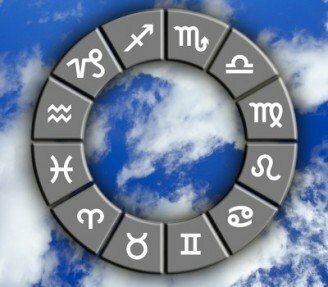 And with Venus conjoining Mercury the next day (Sunday, August 28), we will feel like talking about whatever it was that we did the day before. It also gives us a day when our hearts and minds work harmoniously together. Communication will likely be very warm, and even work can be playful. Monday, August 29, sees Mars squaring (90°) the Lunar Nodes. This could be a bit of a shock after a wonderfully pleasant weekend. A square to the nodal axis often forces us to see where we have “skipped a step.” It is likely that we will become aware of something important that has been overlooked or ignored, something that now must be dealt with. And with Mars involved, we will have the courage to face this reality and to take action on whatever realizations come to our awareness. This may require looking inward to see what in our past needs to be resolved so we can move forward. Or it might be facing the reality that we have moved forward too quickly and ignored important past issues that are now undermining our efforts. Or it may be that our actions feel out of alignment with those we care about or with society. All of this can cause us to feel angry or frustrated and/or lash out at others. However, a better use of this energy is to identify what we need to face in order to move forward. Actually, who are we not to be? You are a child of God.